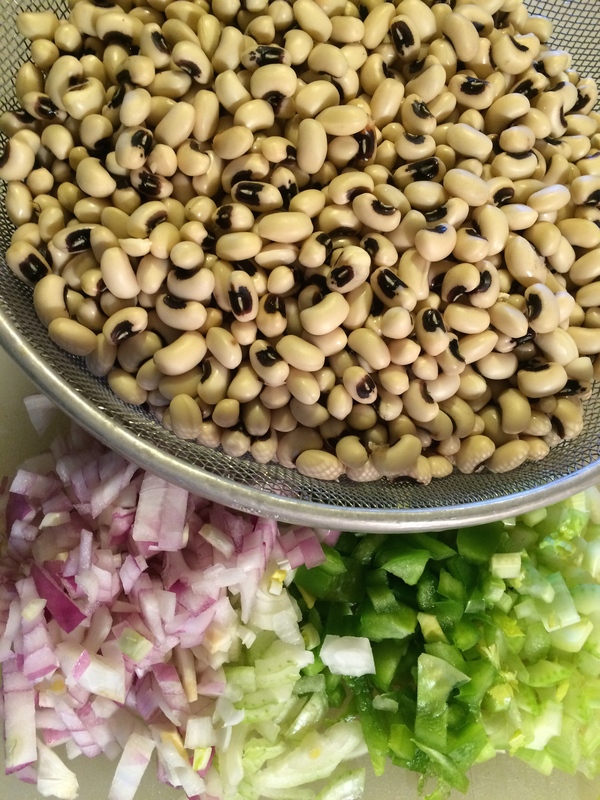 The last in the “good luck eats” series is an old southern staple…Hoppin’ John. Though beans, like green, are meant to serve as a symbol of wealth (“peas for pennies, greens for dollars, and cornbread for gold”), they just don’t really look like coins to me. Another historical perspective mentioned that the good luck association of beans is tied more to the quick germination and sustenance they provide. Cook bacon in a large pot until crisp. Add onions, peppers, celery, chili powder, garlic, tomato paste, thyme, bay leaves, pickled jalapeños, salt and pepper to taste. Sauté over medium high heat until tender, about 5 minutes. Add drained peas. Add two quarts chicken stock/broth and bring to a boil. Reduce heat and simmer until peas are tender. Cook favorite rice and serve peas on top or mix rice in with peas. Top with chopped parsley.